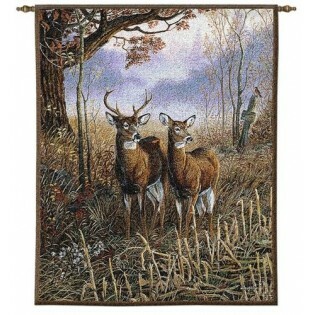 A whitetail deer couple stand in watch among the tall grass. The fog is just barely lifting in the field behind them. 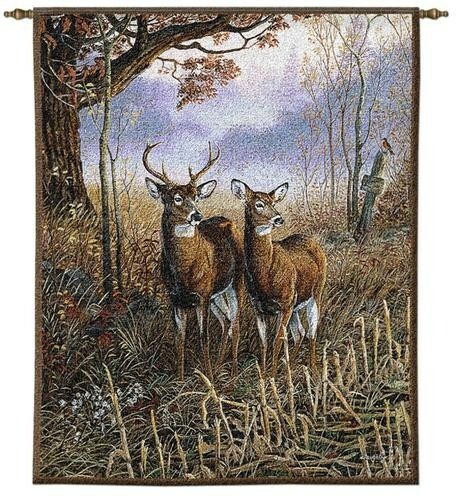 The Country Treasures Deer Wall Hanging is a great gift for a hunter or nature.